It’s only mid-August, but the focus has turned from planning beach getaways to back-to-school preparation. Here in Vermont, we are also thinking of fall. But our focus is on the arrival of magnificent fall foliage and the excitement of the many fall festivals. For visitors, the fall season in Vermont offers twice the enticement. First, there is the fall color. 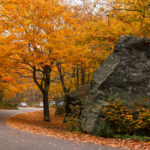 From yellow and golds to reds and oranges, Vermont’s mountains and valleys become a picture-postcard display of color. Set against this backdrop of magnificent foliage are the abundant fall festivals which offer something for everyone. Here’s a quick summary of what you can expect in September. Labor Day weekend offers up a traditional county fair with the Champlain Valley Fair (which actually begins August 24th), a craft fair (Mad River Valley Craft Fair), a brew fest (Mt. Snow Brewers Festival), and the unique Garlic & Herb Festival (Bennington). An unusual mix of events, but maybe we haven’t yet satisfied your definition of “something for everyone.” But, wait. The following weekend you can find three different festivals dedicated individually to bacon, honey, and hemp. Maybe we’re starting to pique your interest. The next weekend, Sept. 15-16, you can celebrate the Colors of the Kingdom with the folks in St. Johnsbury or head to Bennington for a Quiltfest. 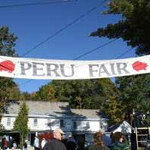 Then Sept. 22 will bring a couple of traditional small town fairs with the Peru Fair and Killington Fall Festival plus a modern take on a harvest fair with the Vermont Wine & Harvest Festival at Mt. Snow in W. Dover. The foliage is now reaching peak in parts of the state and the festivals just keep on coming. The last weekend of the month offers up a couple of festivals in the southern part of the state for art and antique lovers with the Manchester Fall Art and Craft Festival (Manchester) and Antiques at Stratton (Stratton). Two other festivals that weekend pay homage to the traditional harvest festival by celebrating Vermont foods – the Pumpkin and Apple Celebration (Billings Farm in Woodstock) and the Apple and Cheese Harvest Festival (Justin Morrill State Historic Site in Strafford). 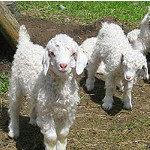 Craft beer, fine food, and live music might entice you to visit the Killington Brewfest and for something completely different consider the Vermont Sheep and Wool Festival in Tunbridge. 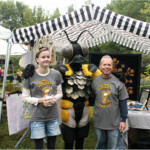 For more details on all these festivals, check out our Fall Festivals page. All this in only the month of September. There is a lot of foliage viewing and additional festival fun on the schedule for October. Plus, there are a lot of other activities included in our Calendar of Events you may want to check out. You’ll get that rundown in the next blog. Thinking about a Vermont visit this fall? Check with Vermont.com for lodging choices and dining opportunities. 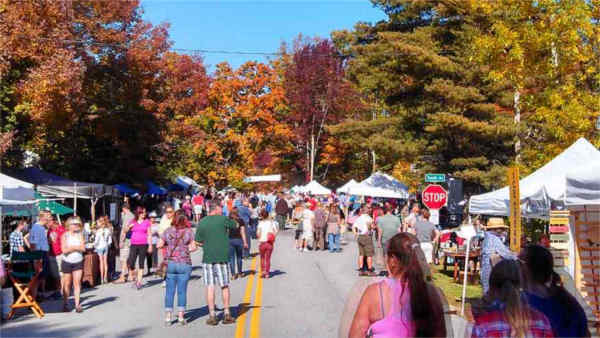 This entry was posted in Activities, Eat & Drink, Fall Foliage, Now Trending, Stay, Things To Do, Uncategorized on August 13, 2018 by Linda Warner. 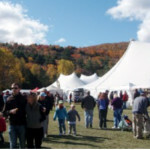 Vermont Fall Festivals Continue into October Already Time to Think about Fall in Southern Vermont Already Time to Think about Fall in Northern Vermont Why Visit Vermont in the Fall?